ADHD HoaxFortunately, the Swiss National Advisory Commission on Biomedical Ethics (NEK, President: Otfried Höffe) critically commented on the use of the ADHD drug Ritalin in its opinion of 22 November 2011 titled Human enhancement by means of pharmacological agents: The consumption of pharmacological agents altered the child’s behavior without any contribution on his or her part. ADHD HoaxAnd after all, Eisenberg was a member of the “Organizing Committee for Women and Medicine Conference, Bahamas, November 29 – December 3, 2006, Josiah Macy Foundation (2006)”. The Josiah Macy Foundation organized conferences with intelligence agents of the OSS, later CIA, such as Gregory Bateson and Heinz von Foerster during and long after World War II. Have such groups marketed the diagnosis of ADHD in the service of the pharmaceutical market and tailor-made for him with a lot of propaganda and public relations? It is this issue that the American psychologist Lisa Cosgrove and others investigated in their study Financial Ties between DSM-IV Panel Members and the Pharmaceutical Industry7. They found that “Of the 170 DSM panel members 95 (56%) had one or more financial associations with companies in the pharmaceutical industry. One hundred percent of the members of the panels on ‘Mood Disorders’ and ‘Schizophrenia and Other Psychotic Disorders’ had financial ties to drug companies. The connections are especially strong in those diagnostic areas where drugs are the first line of treatment for mental disorders.” In the next edition of the manual, the situation is unchanged. “Of the 137 DSM-V panel members who have posted disclosure statements, 56% have reported industry ties – no improvement over the percent of DSM-IV members.” “The very vocabulary of psychiatry is now defined at all levels by the pharmaceutical industry,” said Dr Irwin Savodnik, an assistant clinical professor of psychiatry at the University of California at Los Angeles. Hoping to curb the ever-increasing piracy figures in Portugal, local anti-piracy outfit ACAPOR reported the IP-addresses of 2,000 alleged file-sharers to the Attorney General last year. This week the Portuguese prosecutor came back with a ruling and decided not to go after the individuals connected to the IP-addresses. According to the prosecutor it is not against the law to share copyrighted works for personal use, and an IP-address is not enough evidence to identify a person. Wearing T-shirts with the slogan “Piracy is Illegal”, the movie industry sponsored anti-piracy group ACAPOR delivered several boxes full of IP-addresses of alleged ‘illegal’ file-sharers to the Attorney General’s Office last year. The “evidence” was handed over in two batches and the group demanded the authorities act against 2,000 alleged pirates. However, a year later it turns out that ACAPOR’s actions have backfired and the anti-piracy group is now facing the embarrassment. The Department of Investigation and Penal Action (DIAP) looked into the complaints and the prosecutor came back with his order this week. Contrary to what the anti-piracy group had hoped for, the 2,000 IP-addresses will not be taken to court. Worse for ACAPOR, the prosecutor goes even further by ruling that file-sharing for personal use is not against the law. The prosecutor adds that the right to education, culture, and freedom of expression on the Internet should not be restricted in cases where the copyright infringements are clearly non-commercial. In addition, the order notes that an IP-address is not a person. This means that the account holders connected to these 2,000 IPs are not necessarily all copyright infringers, similar to orders we’ve seen in the United States previously. Finally, the prosecutor ruled that even if file-sharing for personal use would be seen as illegal, the artists themselves should explicitly declare that there are not authorizing copying for personal use. ACAPOR boss Nuno Pereira is disappointed with the decision and he accuses the prosecutor of dropping the case because it’s the easy way out. “Personally I think the prosecutors just found a way to adapt the law to their interest – and their interest is not having to send 2,000 letters, hear 2,000 people and investigate 2,000 computers,” Pereira says. Another way to frame it is that the prosecutor adapted the law in the interest of the public at large, which is generally speaking not a bad idea. While the decision is hopeful for Portuguese file-sharers, it is still a matter of how the law is interpreted. For now, however, it is save to assume that Portugal is spared from the mass-BitTorrent lawsuits we’ve seen in the United States, Germany and the UK. Of course Kopimism, as a religion, is against violence. But more importantly Kopimism is against ignorance. Ignorance is the gateway drug to violence. Once you get a taste of that sweet stupidity it's hard to get away. Kopimism accepts everyone and you can even continue to be your current religion and also be a Kopimist. There is nothing in our rules that stops you and probably nothing in your rules either. It is the sharing of information that made humans as good as we are now and Kopimism is about that. Sharing and making us all better. That's something we can all agree on. Kopimism, Sweden's Pirate Religion, Begins to Plunder America 'Kopimism' gives internet piracy a place to worship By Jason Koebler April 20, 2012 RSS Feed Print The symbol of Kopimism, a religion dedicated to information sharing. The symbol of Kopimism, a religion dedicated to information sharing. A Swedish religion whose dogma centers on the belief that people should be free to copy and distribute all information—regardless of any copyright or trademarks—has made its way to the United States. Followers of so-called "Kopimism" believe copying, sharing, and improving on knowledge, music, and other types of information is only human—the Romans remixed Greek mythology, after all, they say. In January, Kopimism—a play on the words "copy me"—was formally recognized by a Swedish government agency, raising its profile worldwide. [Rapidshare: Megaupload's Pirates are Unwelcome] "Culture is something that makes people feel much better and makes people appreciate their world in a different way. Knowledge is also something we should copy regardless of the law," says Isak Gerson, the 20-year-old founder of Kopimism. "It makes us better when we share knowledge and culture with each other." More than 3,500 people "like" Kopimism on Facebook, and thousands more practice its sacred ritual of file sharing. According to its manifesto, private, closed-source software code and anti-piracy software are "comparable to slavery." Kopimist "Ops," or spiritual leaders, are encouraged to give counsel to people who want to pirate files, are banned from recording and should encrypt all virtual religious service meetings "because of society's vicious legislative and litigious persecution of Kopimists." Official in-person meetings must happen in places free of anti-Kopimist monitoring and in spaces with the Kopimist symbol—a pyramid with the letter K inside. To be initiated new parishioners must share the Kopimist symbol and say the sacred words "copied and seeded." The gospel of the church has begun to spread, with Kopimist branches in 18 countries. An American branch of the religion was recently registered with Illinois and is in the process of gaining federal recognition, according to Christopher Carmean, a 25-year-old student at the University of Chicago and head of the U.S. branch. "Data is what we are made of, data is what defines our life, and data is how we express ourselves," says Carmean. "Forms of copying, remixing, and sharing enhance the quality of life for all who have access to them. Attempts to hinder sharing are antithetical to our data-driven existence." [ISPs Close to Implementing System to Punish Piracy] About 450 people have registered with his church, and about 30 of them are actively practicing the religion, whose symbols include Ctrl+C and Ctrl+V—the keyboard shortcuts for copy and paste. It's no surprise the religion was born in Sweden—it has some of the laxest copyright laws in the world. The Swedish Pirate Party has two seats in the European Parliament, and The Pirate Bay, a Swedish website that's one of the world's largest portals to illegal files, has avoided being shut down for years. Gerson is happy to allow people who want to open their own branches of Kopimism to copy its symbols and religious documents. "There's been a couple people that asked me [to start congregations], but I tell them they shouldn't ask. You don't need permission," he says. "It's a project, and I want projects to be copied, so I'm happy when people copy without asking." Most Kopimists say they realized they were practicing the religion before they found it. "There are many people who are like me, who always held the Kopimist ideals, but hadn't yet heard of the official church," says Lauren Pespisa, a web developer in Cambridge, Mass., who gave a speech about the religion in March to a group of anti-copyright activists called the Massachusetts Pirate Party. "I think some people are like me and have embraced it officially and publicly, but some people believe in it and don't really want to mix religion and politics." 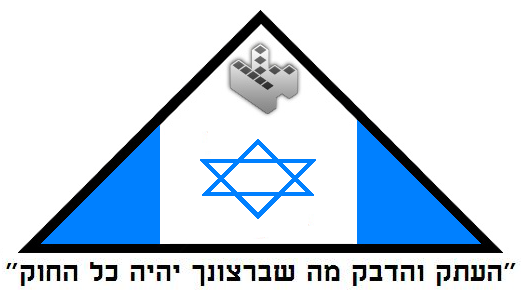 The symbol of Kopimism, a religion dedicated to information sharing. A Swedish religion whose dogma centers on the belief that people should be free to copy and distribute all information—regardless of any copyright or trademarks—has made its way to the United States. Followers of so-called "Kopimism" believe copying, sharing, and improving on knowledge, music, and other types of information is only human—the Romans remixed Greek mythology, after all, they say. In January, Kopimism—a play on the words "copy me"—was formally recognized by a Swedish government agency, raising its profile worldwide. "Culture is something that makes people feel much better and makes people appreciate their world in a different way. Knowledge is also something we should copy regardless of the law," says Isak Gerson, the 20-year-old founder of Kopimism. "It makes us better when we share knowledge and culture with each other." More than 3,500 people "like" Kopimism on Facebook, and thousands more practice its sacred ritual of file sharing. According to its manifesto, private, closed-source software code and anti-piracy software are "comparable to slavery." 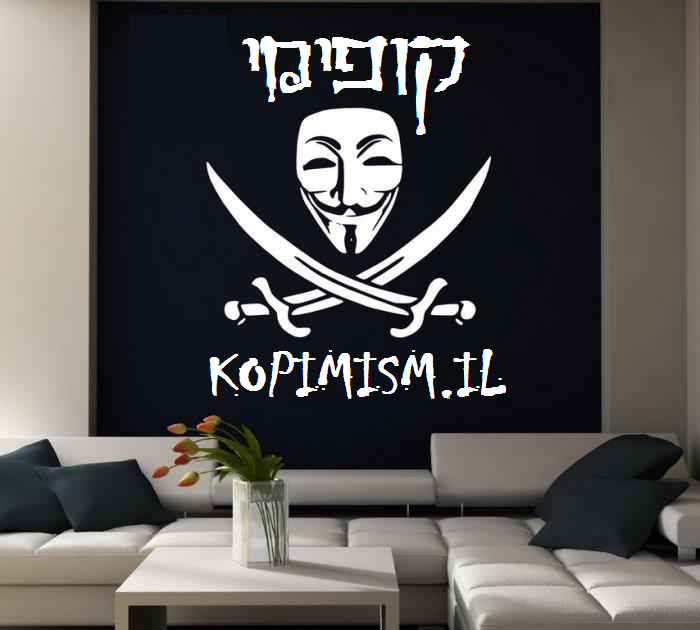 Kopimist "Ops," or spiritual leaders, are encouraged to give counsel to people who want to pirate files, are banned from recording and should encrypt all virtual religious service meetings "because of society's vicious legislative and litigious persecution of Kopimists." Official in-person meetings must happen in places free of anti-Kopimist monitoring and in spaces with the Kopimist symbol—a pyramid with the letter K inside. To be initiated new parishioners must share the Kopimist symbol and say the sacred words "copied and seeded." The gospel of the church has begun to spread, with Kopimist branches in 18 countries. An American branch of the religion was recently registered with Illinois and is in the process of gaining federal recognition, according to Christopher Carmean, a 25-year-old student at the University of Chicago and head of the U.S. branch. "Data is what we are made of, data is what defines our life, and data is how we express ourselves," says Carmean. "Forms of copying, remixing, and sharing enhance the quality of life for all who have access to them. Attempts to hinder sharing are antithetical to our data-driven existence." About 450 people have registered with his church, and about 30 of them are actively practicing the religion, whose symbols include Ctrl+C and Ctrl+V—the keyboard shortcuts for copy and paste. It's no surprise the religion was born in Sweden—it has some of the laxest copyright laws in the world. The Swedish Pirate Party has two seats in the European Parliament, and The Pirate Bay, a Swedish website that's one of the world's largest portals to illegal files, has avoided being shut down for years. Gerson is happy to allow people who want to open their own branches of Kopimism to copy its symbols and religious documents. "There's been a couple people that asked me [to start congregations], but I tell them they shouldn't ask. You don't need permission," he says. "It's a project, and I want projects to be copied, so I'm happy when people copy without asking." Most Kopimists say they realized they were practicing the religion before they found it. "There are many people who are like me, who always held the Kopimist ideals, but hadn't yet heard of the official church," says Lauren Pespisa, a web developer in Cambridge, Mass., who gave a speech about the religion in March to a group of anti-copyright activists called the Massachusetts Pirate Party. "I think some people are like me and have embraced it officially and publicly, but some people believe in it and don't really want to mix religion and politics." 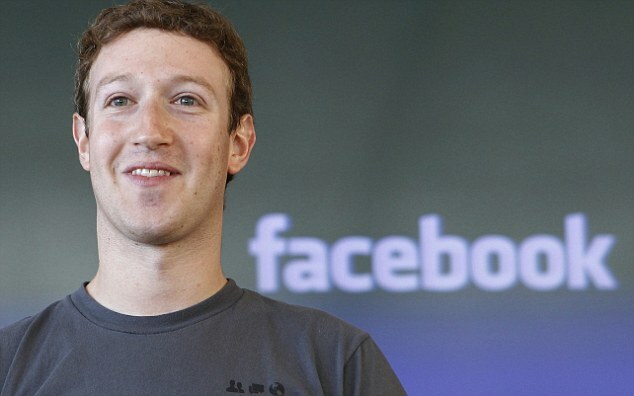 Facebook is bringing one of its long-term vendors, a facial-recognition technology company Face.com, in-house. The Israeli company's technology helps people tag photos on the Web by figuring out who is in the pictures. The deal bolsters one of Facebook's most popular features – the sharing and handling of photos – but the use of the startup's technology has spurred concerns about user privacy. Media reports in past weeks have pegged the size of the transaction at between $80 million to $100 million, but two people familiar with the terms of the deal said the actual price was below the low-end of that range. Other sources suggest the deal is closer to $60m. More privacy fears as Facebook buys facial-recognition startup for undisclosed sum | Mail Online.